“I’m not going to be touring and traveling the world. My priorities have changed. I have young children,” he said during a New York press conference. One of the world's best-selling artists, English singer, pianist, and composer Elton John has sold more than 300 million records throughout his five decade career. Since 1967, John has worked alongside long-time lyricist and songwriting partner Bernie Taupin, with whom he has collaborated on more than 30 albums to date. Writer and performer of over fifty top forty hits, John has charted nine Billboard 200 number-ones and seven consecutive number-one US albums. “Candle in the Wind 1997”, his rewritten tribute single in dedication to Diana, Princess of Wales, sold over 33 million copies worldwide and is the best-selling single in the history of the UK and US singles charts. 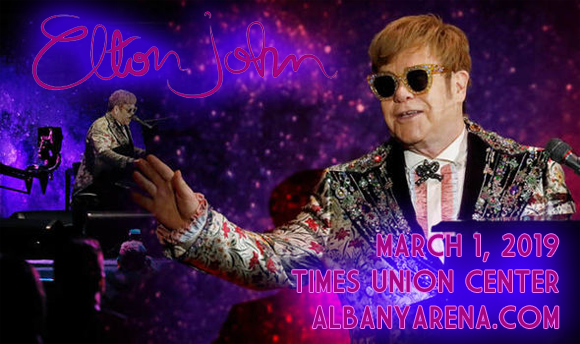 Throughout his career, John has been honored with five Grammy Awards, five Brit Awards – winning two awards for Outstanding Contribution to Music and the first Brits Icon in 2013 for his "lasting impact on British culture", an Academy Award, a Golden Globe Award, a Tony Award, a Disney Legends award, and the Kennedy Center Honors in 2004. In 1996, John was named a Commander of the British Empire, and was later made a Knight Bachelor by Elizabeth II for "services to music and charitable services" in 1998.